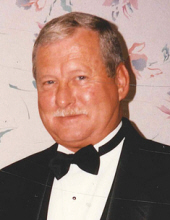 Dennis Lyle Combs, 75, currently of Pensacola, FL passed away April 2, 2019. He was born in Council Bluffs, IA to Marion and Billiemarie Combs. He graduated from Abraham Lincoln High School in Council Bluffs, IA. Dennis leaves to cherish his memories his wife of 56 years, Carolyn Atkins Combs; daughter, Robin Combs Drew; son, Phillip Roe Combs; daughter, Lori Combs Martinez (Lionel); grandchildren, Brian Drew (Jennifer), Joshua Combs Nelson, Tyler Combs Nelson, Taylor Martinez, Bella Grace Martinez; great-grandchildren, Brennen and Charli Drew; sisters, Karen Combs Strack of Davis, CA, Rosalie Combs Berry (Donald) of Council Bluffs, IA and Jolene Combs Scott (William) of Timnath, CO and many nieces, nephews, family and friends. A memorial service will be held Saturday, April 13, 2019 at 2:00 PM in the Chapel of Mowell Funeral Home, Fayetteville. The family will receive friends beginning at 1:00 PM prior to the service at the funeral home. To send flowers or a remembrance gift to the family of Dennis Lyle Combs, please visit our Tribute Store. "Email Address" would like to share the life celebration of Dennis Lyle Combs. Click on the "link" to go to share a favorite memory or leave a condolence message for the family.